Located on the 7th floor of the AC Hotel Nice the rooftop pool offers panoramic views of Nice, the Mediterranean Sea, and the French Alps. 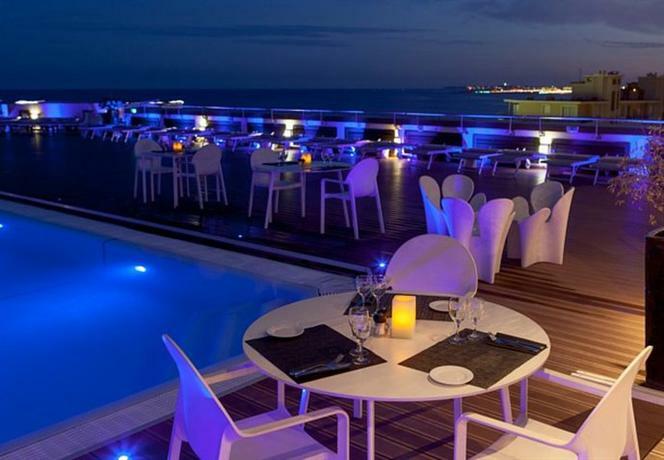 The seasonal pool features plastic deck furniture, sun loungers a large wood pool deck, solarium, shade planters, sophisticated evening lighting, and a pool side bar and restaurant known as the Rooftop Terrace Restaurant & Lounge. The Rooftop Terrace Restaurant and Lounge offers a full bar including classic cocktails and indigenous beers as well as a Mediterranean menu for lunch and dinner.